The new Sverdrup Complex was designed to emulate the modern work environment. 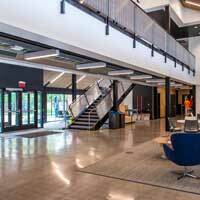 The Webster University Accessibility Committee invites faculty, staff and students to join the Universal Design Tour on Feb. 19 from 11:30 a.m. to 12:30 p.m.
Attendees will meet in the lobby of Sverdrup for a walking tour of the recently renovated Sverdrup Complex, as well as the older University Center. A lively and informative discussion on what Universal Design is and how it is applied to these campus buildings will follow the tour. Universal Design is a principal that promotes the design and composition of an environment so that it can be accessed, understood and used to the greatest extent possible by all people regardless of their age, size, ability or disability. If an environment is accessible, usable, convenient and a pleasure to use, everyone benefits. The Universal Design Tour is sponsored by the Webster University Accessibility Committee. For questions or to RSVP, contact accessibilitycommittee@webster.edu. 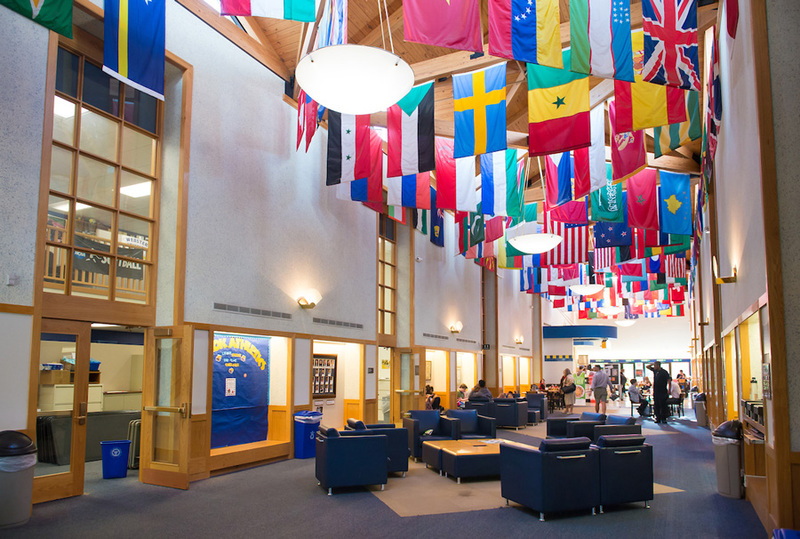 The University Center is known as the "living room of the University," a place for students to meet with friends, eat, attend events, watch the Gorloks in action, study and relax.